The number of solar panels on rooftops around Australia has exceeded 31 million – and that’s just in small scale PV installations. The 31 million+ figure is based on Clean Energy Regulator data as at November 30 indicating 7,817,456 kW of solar capacity (<100kW systems) was in place. Nearly another month has passed and given the 12 month creation rule for STCs accompanying systems (which the Regulator bases its figures on), the current tally would be higher. However, I’ve just divided that figure by 250 watts as an average panel nameplate capacity. Of course, some years ago panels were of less capacity and larger modules are being installed now; but instead of trying to figure out average module capacity for each year since 2001 and doing some other number-crunching, I ask you grant me this bit of laziness1. As mentioned, also not taken into account are the rooftop panels in place in large commercial installations across the country. Even at 31 million panels, that’s more than one module for every woman, man and child in Australia2. According to Worldometers, the current estimated population of Australia is around the 24.9 million mark. What Does 31 Million Solar Panels Look Like? Based on an average length of around 1.6 metres, 31 million modules placed end-to-end would stretch over a distance of 49,600 kilometres. That’s around 13,700 kilometres longer than the length of the Australian mainland’s coastline. If you were to place the panels on top of each other, at a panel thickness of 35mm each, that would create a tower 1,085 kilometres high – approximately 490 times the height of Mount Kosciuszko, or around 74 kilometres short of the distance between Adelaide and Canberra by road. A 250 watt panel weighs around 18-19 kilograms, so thirty-one million at 18kg each would weigh around 558,000 tonnes – equivalent to 93,000 male African bush elephants. Or keeping in with an Australian theme, 15.9-27.9 million wombats. I can also do a calculation in platypuses, koalas or emus on request. Figures for other species may attract a small charge. The figures are interesting (if somewhat back-of-virtual-envelope) and it’s great millions of Australian households are slashing their electricity related emissions and power bills by harvesting the energy of the sun, but it also raises issues relating to end of life disposal. The good news is much of a solar panel can be recycled3. The not so good news is there still doesn’t seem to be much happening to ensure this can be carried out at the scale it will need to occur in Australia – yet. 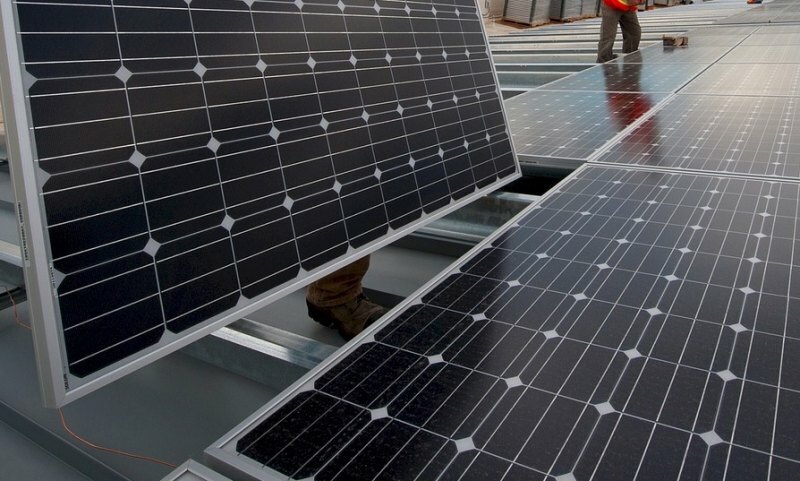 Given good quality solar panels will have a life of decades it may not be considered a burning issue right now; but the years will fly by quickly – and poor quality solar panels are already making their presence felt in this regard. 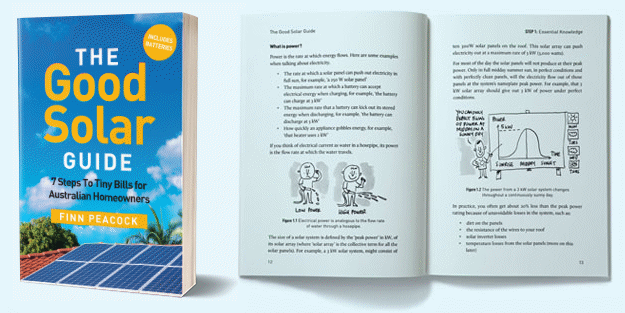 On a related note – here’s some tips on avoiding crap solar panels. Okay – that is about 314W per person, from the data supplied above. Whilst electricity generation statistics from domestic rooftop photovoltaic systems, are not yet collected (it would probably be good, for electricity companies, for forward planning, to collect, with the owners’ permission, the meter readings of the electricity generated as shown by the inverters, when they read the electricity grid supply meters), it would be good to have an estimate of the annual electricity generation from domestic rooftop photovoltaic systems, to compare it with the annual quantity of grids supplied electricity. Then, for example, it could be published, as a qualified prediction, that we need x number of kiloWatts per person, of domestic rooftop photovoltaic systems panels, per person of the population, to be installed, to eliminate electricity generation from combustion. Smart persons do not want their personal production details made available to the bureaucracy as they inevitably latch onto ‘smart ideas’ to force taxation (by stealth) onto these same sane persons. Also bear in mind there will inevitably exist a need for power generation by external supply companies over the 24 hour time period regardless of backup storage systems being installed. Failures do occur.